Starting a petition online is not as complex as you might think. The guide below gives a step by step procedure for how to start a petition at GoPetition while also providing general advice on how to structure and format your petition. First, to start a petition online you will need a good hosting environment. GoPetition offers a proven hosting environment that is integrated into a successful social network ecosystem. Our online environment is moderated and populated with excellent premium content and successful campaigns. Simply join GoPetition to access this environment and a wide variety of appropriate tools for your cause. Second, when starting a petition you should think carefully about the title, URL, and basic background information that you want to be made public. This data, and the important petition text, should be reviewed and edited if necessary both before and after your petition is uploaded. In this regard, GoPetition offers complete editorial flexibility. Third, data collection and sorting are critical. A good petition platform will allow multiple (and flexible) data fields for signature collection. GoPetition provides a facility for customized fields to boost data relevance. Fourth, your petition should be tweaked for privacy and SEO considerations. GoPetition offers flexibility by providing an option for "private" petitions (not for publication is search engines), while also offering tools for "public" petitions whereby petitions are quickly indexed in major search engines and distributed into major social networks. These are the basics of "How to Start a Petition" at GoPetition. If you have any queries, please contact us. For ideas to structure your petition then please visit us at how to write a petition. To start your petition now, click here. Apart from the technical procedures for commencing a campaign as listed above, there are four key ingredients to consider when starting a successful petition. (4) Your petition must pass a communication test: petition language should be clear, concise and believable. The first task of effective petition writing is to properly identify the petition's target (the ultimate recipient of the signature list). Neighborhood authorities or home owner associations. Many petitions will not need to comply with any specific petition rules or protocols because many targets don't require strict procedures in the lobbying process. However, petitions written to governments and parliaments will generally need to comply with standing orders, rules, or local regulations. Standing orders may also have specific additions in relation to internet petitions. Several jurisdictions throughout the world now recognize internet petitions. For example, 10 Downing Street, UK, accepts electronic petitions as does Scotland (e-Petitioner, a parliamentary service), Queensland Australia (state parliament), while the Federal Government of Australia is now considering the introduction of electronic petitions. A petition should begin with a request, followed by well researched reasons for making the request. Each petition should provide a description of relevant circumstances and links to documentation or facts that support that description. A good petition may includes links to PDF documents, video and relevant websites. Overall, a petition should contain information that suggests its request is feasible. It is advisable to view a variety of petitions in your field of interest to see what evidence is being used in these causes and how the relevant arguments are structured. Ultimately, a good petition is logical, compelling and backed up with good research and facts. (3) explain why it is needed. The message should be clear and concise. 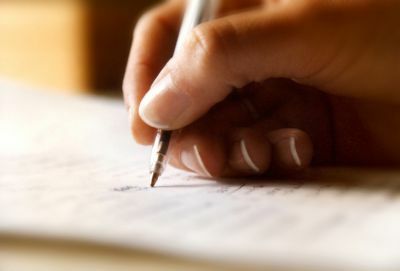 There are many examples of excellent and well written petitions at GoPetition. Please click here to see examples. You may wish to peruse some of the more popular petition examples as they can be used as templates in the petition creation process. Often brief and succinct petitions are the most powerful and effective. Signers are more motivated when their cause is clear and has objectives that are easy to understand. Those who are interested in starting a petition (traditional or electronic) should observe the above principles in the petition writing process. By properly identifying the players in your cause, observing any relevant protocols and conducting thorough research, your campaign will have a good foundation for success. When packaged with clear communication and marketing, your petition will have the ingredients necessary to make a lasting impact. How you promote your petition will have a critical influence on the outcome of your campaign. A key element of promotion is to link your petition url to as many websites and forums and possible for maximum exposure. You may also wish to contact media organizations. Please refer to our help page or contact us for a free consultation. GoPetition has advanced editing software that allows you to add updates, news items, and other material to your petition at any time. You may also link to your website from your petition. We also allow you to display a picture with your petition. A free message board is provided with every petition. To start a petition you must first become a member of the GoPetition global community. We are committed to quality customer service and advice for those who have uploaded a petition to our platform. If you have any queries about petition writing or how to write a petition please refer to our link list below. To write a petition and start a petition with instant access now, click here.